My friend Dylan Matthews is starting/resuming an advice column. He’s a busy person. 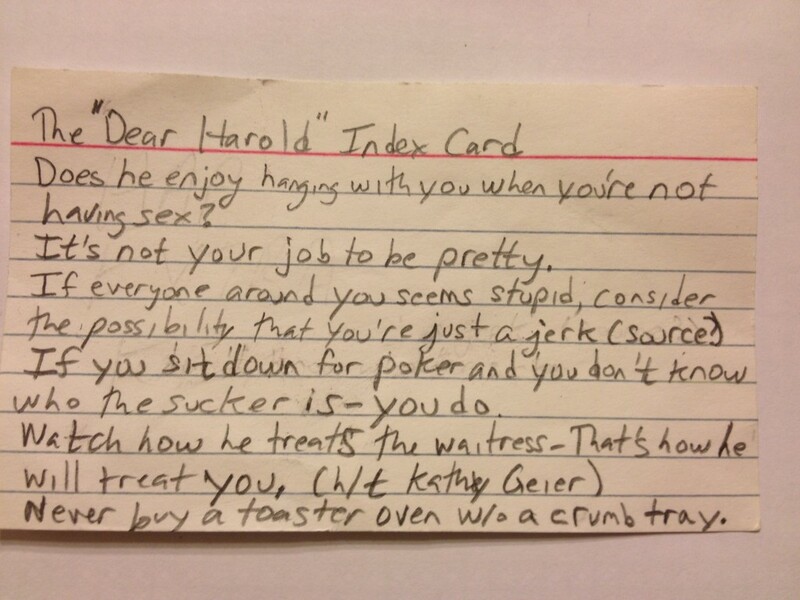 I thought I would save him some time by encapsulating the sum total of wise advice on the below index card. I could only fit half of the world’s wise advice on one card. So I suppose Dylan’s column is still needed. Regular readers will be shocked that it tilts in the direction of #dadtweet advice…. Use your little toe or it will become useless. You forgot "Never start a land war in Asia"